Don't get me wrong Maul is amazing. I just don't get why he doesn't. I don't see a huge advantage of LB and B on my xbox controller just do the same exact action move of lunging. It is rather pointless and could serve a better purpose. I know they don't want to make Maul OP as he has this fair balance so instead what if the LB that is usually using for saber heroes to block, it is used by maul as a block but his blocks have to be well timed, adding a level of skill. you can't just hold it and block. you have to press it at the right time to deflect a saber strike or a blaster bolt. Holding will not do anything as it is a quick block. And if you are deflecting multiple blaster fire you eat away at your stamina faster so it's not a huge benefit but only in cases where you really need to you it. That way it is a risk/reward situation. So it won't make Maul any stronger or weaker at base level but at skill level he can be better if you play him right. It'd make sense for him to have SOME manner of blocking option tbh, yeah. 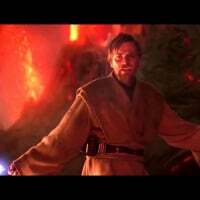 ya i liked how he could quick block Qui-gon jinn and obi-wan at the same time. I would think instead of 2 buttons that do the same thing for dodge, they should make it quick block. 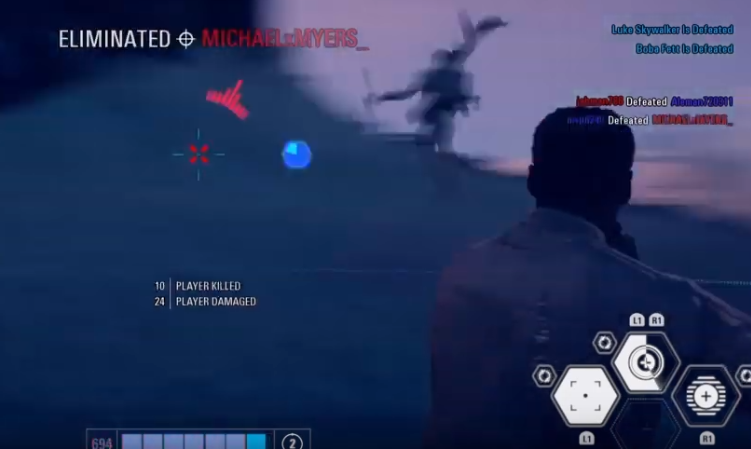 something you can't hold but had to press be just before getting hit, well timed, so it still requires skill and you have like a fraction of a second to press before getting hit by a blaster or saber to block it otherwise it will hit. Imagine the people smashing the left trigger like crazy trying to block at the blaster shots coming at them.